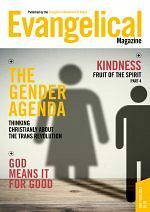 The Evangelical Magazine is a bi-monthly magazine published by the Evangelical Movement of Wales both in-print and online. 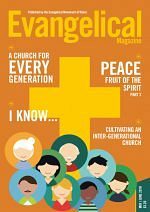 Most of our readers are Welsh evangelical Christians, although we have subscribers around the world. In keeping with our Welsh heritage, we try to hold several emphases in tension: the Word and the Spirit, doctrinal substance and practical simplicity, God’s sovereignty and our responsibility, contemporary engagement and learning from the past. Help readers confidently apply biblical truth to their lives, and learn from the experience of other Christians who are doing likewise. Write clearly, and engage the head, the heart, and the soul. Help readers grow in godliness, understanding, and love for the Lord. Encourage readers to speak and live the gospel, throughout the week, wherever they are. Many of our articles are commissioned individually, but some run as part of a series over several issues, and others as part of a theme in a single issue. If your article is in a series or theme, we’ll let you know. The Magazine has several sections, each with specific aims. Please read the specific paragraph below which applies to your article. If you’re not sure which section you’re writing for, please ask the person who commissioned your article, or email Shâron Barnes. For each section, there’s a link to a particularly well-received article that will give you a better sense of what we’re looking for. Local church — an insight into the encouragements and challenges of a specific local church. Please help other churches learn from both your successes and your struggles. World Mission — a glimpse into what God is doing in other parts of the world, either through missionaries, or local Christians. Please include lessons for Christians in the UK. 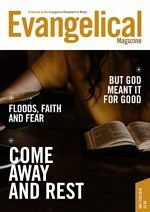 Evangelistic — articles that Christians can share with unconverted friends online (e.g. on Facebook), or with unconverted family members in the home, and which point to Christ. We particularly value thought-provoking articles that encourage discussion. 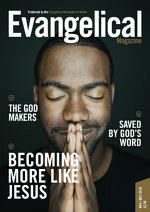 Theology — articles that focus on a specific doctrine, its biblical basis, and its relevance to our readers. Please ensure readers understand both the importance of the doctrine, and its practical application. Hearing God Speak or Why do Christians sing? Biblical —an exposition of short biblical passage, or perhaps a character study. We particularly value articles that are well-illustrated and applied. Church life — helping Christians to better support their local church, from listening to sermons, to training leaders, to ideas for youth outreach. We particularly value articles which bring fresh thinking and apply across the generations. 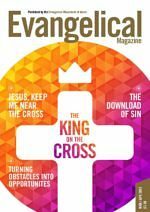 Christian living — articles which take an aspect of contemporary life, and give practical, biblical help. We particularly value articles with an aspect of personal testimony. Devotional — articles which warm readers’ hearts for Christ, and encourage wonder and worship. Testimony — articles which tell a personal story, perhaps of a conversion, or a way in which the Lord has helped through a particularly challenging time. We’re looking for stories which our readers can relate to, and emphasise God’s work in a believer’s life. 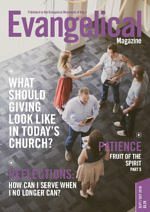 Evangelism — articles that encourage readers in personal and/or church-based evangelism. We particularly value articles that have broad application. Apologetics — articles that take an aspect of Christianity that sceptics find difficult to believe, and encourages Christians to understand the scepticism and to feel equipped to give a biblical response. How historically reliable are the gospels? Unless you’ve been told otherwise, write a single article of between 600 and 1,100 words. Articles should be written in a conversational style. Include an engaging, short title. Begin with a paragraph that grabs attention and sets the scene. Don’t just give information — help readers to apply the truth and draw near to God. Have at least two or three short sub-headings to break up the text. Don’t be afraid of speaking in the first-person, or from personal experience. Generally, use the active voice. If you quote from the Bible, use a widely-used modern reliable translation (e.g. NIV, ESV, NKJV). Articles must be consistent with our statement of faith. Please submit your article in Microsoft Word format (.docx is preferred). Finish your article with a one-sentence bio (see the authors’ index for examples). A colour digital photograph of yourself, which clearly shows your head and shoulders. If writing about a specific person or ministry, three to six good-quality digital photographs to illustrate the piece. In exceptional circumstances (e.g. sensitive missionary situations) we allow articles to be published pseudonymously, and/or be excluded from the website. If this applies to your situation, you must make that clear when you submit. Generally, we don’t print articles that have been published elsewhere. You must let us know if your article has previously been published or is being considered for publication. If you submit your article elsewhere in the future, please ask our permission first. We don’t make payments for articles printed in the Magazine. However, we will provide you with a free copy of the issue that includes your article. Please include your postal address so we can do this. Adhere to the deadline you’ve been given for the article. If you’re not sure what that is, contact the person who commissioned the article from you or Shâron Barnes. All articles are edited for style and to correct typographical errors. Minor changes are normally made without consultation with the author. We will inform you if we need to make substantial changes, or we may request that you revise the article.